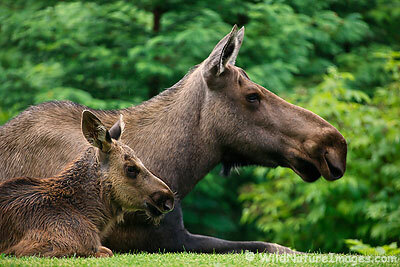 I photographed this cow and calf moose last week, but they ended up taking a back seat in the blog queue to the bears. Moose are cool, but bears are more exciting. 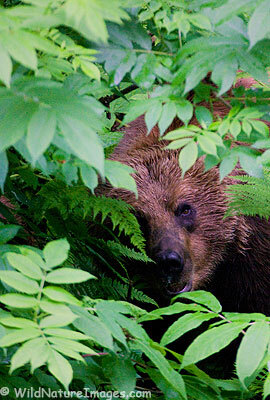 Brown bear cub, Chugach National Forest, Alaska. 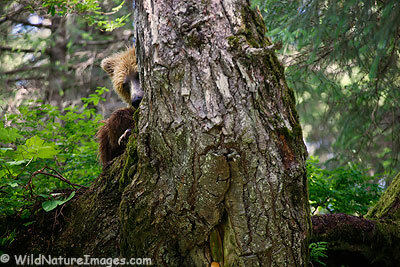 I wasn’t able to find the bears on Sunday – this is another photo from Saturday. I went back to my secret little bear spot today with hopes of showing the bears in more of their beautiful rain forest environment. I tried using a remote wide angle for some up close images – tomorrow I will show you what happened to that effort. I was very fortunate to find this brown bear sow with a cub today. It is surprising, and a bit concerning when you see how quickly such a large animal can nearly disappear in the thick vegetation. 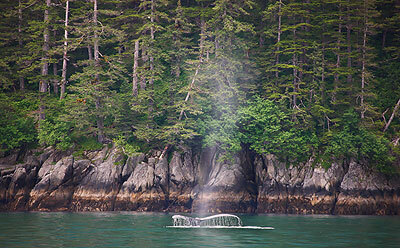 Humpback whale along the Kenai Fjords National Park coastline, Alaska. This is another photo from last Thursday. 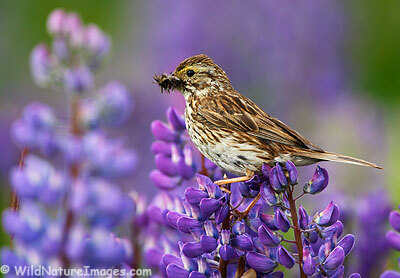 Savannah Sparrow on a lupine near Seward, Alaska. This sparrow had a mouth full of some sort of insect. 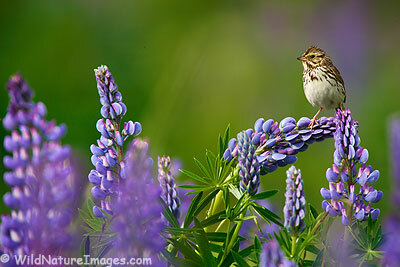 After posing nicely in one of the most colorful patches of lupine, it flew back to the woods – to a nest I assume. Even though I have photographed this spot a lot over the years, I can’t help returning to this wonderful little field of wildflowers near my home, especially on a perfect morning like it was today! 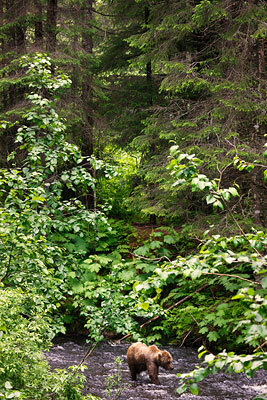 A white colored black bear near Skagway, Alaska. 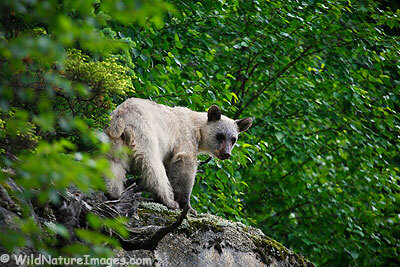 These white colored bears are also known as Kermode, Spirit or Ghost Bears.